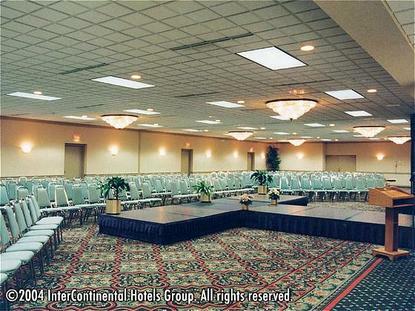 Relax, enjoy a worry free atmosphere - Holiday Inn Neenah Riverwalk&regFox Cities/Appleton Hotel. Great service, clean rooms - Holiday Inn Neenah Riverwalk&regFox Cities/Appleton Hotel. Quality and convenience in downtown Neenah, WI The Holiday Inn Neenah Riverwalk&regFox Cities/Appleton Hotel is ideally located near Hwy 41 (1 mile) , the Outagamie County Airport and Fox River Mall (9 miles), the EAA Museum (15 min.) and Green Bay/Lambeau Field (35 min.). The Holiday Inn Neenah Riverwalk&regFox Cities/Appleton Hotel has 107 remodeled sleeping rooms in sight of the Fox River/Lake Winnebago, Riverwalk Parks, shopping and the historic Paper Baron Mansions. Mostly walking distance to area businesses: Bemis, K. C. Corp., Theda Clark Hosp., Alta Resources and more. Community and character-Holiday Inn Neenah Riverwalk&regFox Cities/Appleton Hotel. With 13,000 sq. ft. of meeting space, skilled planners, and exquisite banquet/catering menus, plan your wedding or special event for 5 or 500. Make memories at the Holiday Inn Neenah Riverwalk&regFox Cities/Appleton Hotel Free high-speed wireless everywhere Free HBO, parking, and shuttles to and from the Outagamie County Airport. 24-hour pool, hot tub, and exercise facility. Full service restaurant, lounge, room service. Priority Club Rewards--#1 nationally, points never expire, no black out dates--we champion our Everyday Heroes & families at the Holiday Inn Neenah Riverwalk&regFox Cities/Appleton Hotel This hotel is committed to providing accessible facilities under the American Disabilities Act. If your accessibility needs are not met, please contact the Hotel Manager on Duty. Should you require additional information regarding accessible facilities for guests with disabilities, please call 1-800-Holiday (U.S. and Canada) or contact the hotel directly. For the hearing impaired, TDD service is available at 1-800-238-5544 within the U.S. and Canada.